"The ChromaDepth glasses create striking 3D images from normal 2D images by pulling forward the color red to the foreground and sorting the remaining colors according to their position in the rainbow. ROY G BIV! (Red, Orange, Yellow, Green, Blue, Indigo, and Violet). The ChromaDepth process encourages fantastic 3D illusions without compromising the quality of the image when viewed without the glasses." Cool idea. 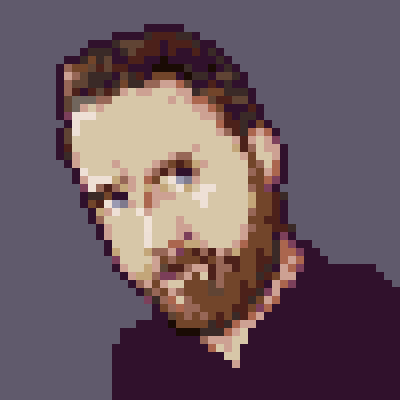 I'm interested to read someone's experience trying them with the PICO-8 palette. Thanks @VgBlade for opening my eyes to the (previously unknown) world of Chromadepth. Had no idea this was a thing. Last I knew was the old red/green 3D glasses.